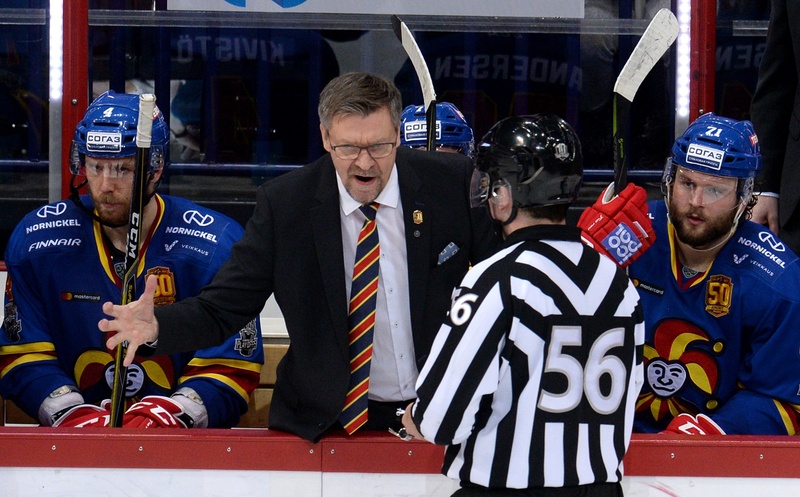 Jukka Jalonen, head coach of Jokerit for the past two seasons, spoke to KHL.ru and summed up his time with the Helsinki club, the phenomenon that is Eeli Tolvanen, and why the door is still open for a return to the League. - Your first year at Jokerit was not a great success, with the team struggling to reach the playoffs. However, the second one was much better. What was the reason for the improvement? - I think the biggest factor was that we had a slightly stronger roster, with more depth, more players who could score, and our goalies played better. We changed our tactics, were more mobile, and more aggressive in fore-checking. Also, during the regular season, we did not have as many injuries as we had the year before. We had a good start, even though we had many road games, and we grew in confidence, which makes it easier to perform. We believed in the team. it was a better collective with a great mentality and spirit. - Was young Eeli Tolvanen a key factor in the improved performances? - Eeli was one of those players who could score, and he earned us many points. A very important player. He was immense. - Could his success here inspire young Finns in North America to come to the KHL and gain some experience? 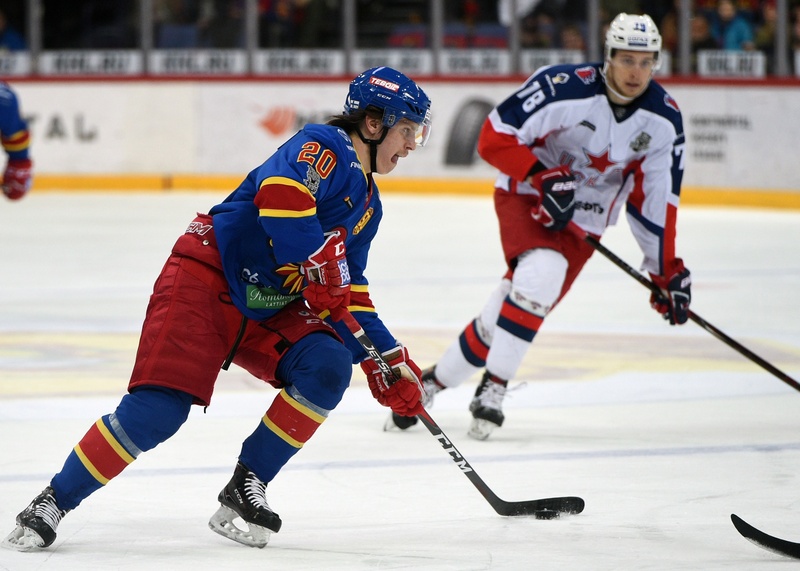 - The KHL is a very good place for young players, but you should already be one the best in your age group. The standard of hockey here is very high, so you should be like Eeli. I think that one or two players currently in junior teams overseas would benefit from a spell in the KHL. - And the goalies were also a factor? - Ryan Zapolski was very good during the regular season when Karri Ramo had injury problems. In the playoffs, Ramo was back to his best. It is vital for a team to have two great goalies in a season. They had good chemistry, and I would not say there was any rivalry. Each knew his role and did all he could for the team. - Did you feel you had a real chance against CSKA in the playoffs? It was a very tight series. - We believed so. We didn’t have the luck we needed, and that plays a big part. Some of our guys were sick or injured. We battled very well, but in the last game Ramo was injured... To beat teams like CSKA or SKA you need to be more lucky then them. I can’t say that fortune completely deserted us, because in that famous Game 5, with so many overtimes, they controlled the game but we scored the golden goal in the 5th period of overtime. We finished third in the regular season, it’s a great achievement. - Game 5 was special for all involved? - It was very hard for the players. Coaches can’t do much in such situations. Things were happening quite fast, and we couldn't keep track of what’s going on. It’s the players' game, the goalies' game. Ramo was excellent, as was Ilya Sorokin. None of us will ever forget that win. - Do you have any advice for Lauri Marjamaki, whom you have replaced as Team Finland boss and who has replaced you as head coach of Jokerit? - We haven’t talked about it yet, but if he needs to know anything he is welcome to ask. It often happens. He's a fine coach. - Does this job swap confirm that Jokerit and the Finnish national team are the top two teams in the country? - You could say so. 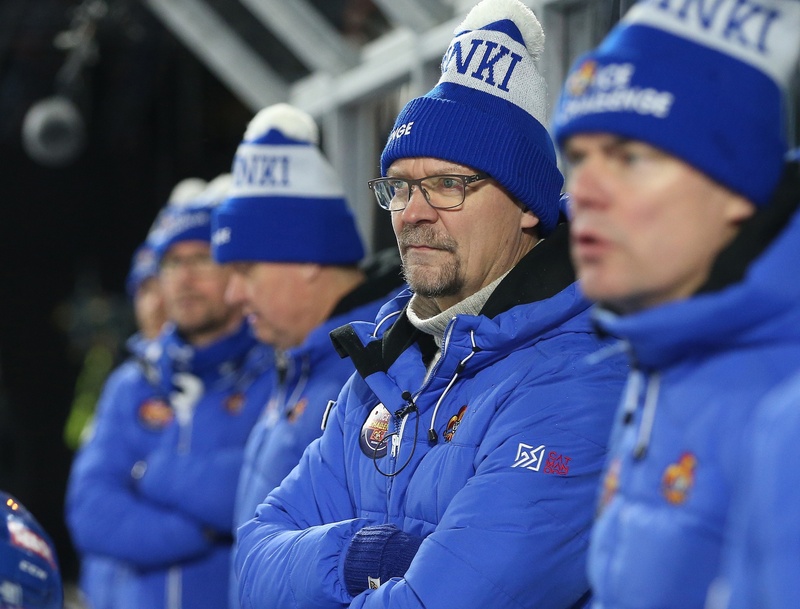 Marjamaki wanted to stay in Finland, so when the offer came to coach Jokerit, he took it. - In Russia, it is often said that you are more suited to coaching a national team. - I perform well with both, so it is difficult to compare the two. There are not that many coaches in the world who have successfully combined both jobs. With Russian clubs it is easier to win the League, but to win in both League and international tournaments is very difficult. If Oleg Znarok or I went to coach Lada, I doubt we would be capable of competing for the Gagarin Cup. With the national team, you have a better chance of winning something, it's a short tournament, and all the teams are closer in level. - Is the job vastly different? With a club, you have a routine for 9-10 months, and with the national team you just have a few quick tournaments each the year. - Sometimes it is good to have something different. I was coaching at club level before working with Team Finland, then back to coaching clubs. Of course, you do not have so many options with international hockey. There are a great many clubs, but you only have one home country. - Do you think that one day you might return to the KHL? - Sure. It’s possible, but now I begin two years with the national team. You can’t predict the future, or even whether you will have a good or a bad season. Maybe I won’t get a chance to come back, or maybe somebone will make me an offer. You never know.